Book designers pay careful attention to a host of typesetting aspects when preparing the book for final publishing. The most fundamental typesetting and page layout design related aspects have been discussed below to empower you with the vision of what is befitting for your book on the anvil of publication. As you start perceiving the various contributing aspects, you may feel that it would not be prudent to typeset the book amateurishly with internet templates or design software and contact a book designer. For any company, it is important that each and every document provided by it reflects its professionalism. For the documents to appear neat and tidy, there are certain professional typesetting tips that can help. Be very careful with your font selection. There are many fonts that you can choose but Sans Serif and Serif are the most recommended ones. In Serif, the letters finish with a tail and it’s pleasing. For short text and crisp headings, San Serif is ideal. Each letter gets visually separated from each other. Though the size is same as that of Times New Roman, this font appears to look larger. Too many fonts can ruin the entire pleasantness and communication of the document. The tone is determined by the font selected. Ask yourself- what is the way your documents needs to be observed? Creative, personal or official? It’s up to you; there are not strict rules for this. Some of the typefaces are devoid of lower case letters and accents etc. So, before selecting a typeface, check whether it has all the required characters. Assure that it looks appealing both in lower and upper cases. Also, make sure about the legibility of the numbers. You must leave sufficient margins around text blocks to ensure that the reader does not have to strain his eyes for figuring outline changes. This would facilitate ease of reading as the eyes would intuitively navigate the text from one line to another. Another reason for spacious margins is the fact that when bookbinding is done, the pages have to be stacked together. As a result, the margin near the bound side would have constricted look compared to outer margin, which is undesirable. One thing that you need to keep in mind when you typset your bookis that a minimum of two textual lines must come beneath a subhead placed at page bottom. This paves way for convenient reading without compromising the theme of book block. If the subhead related rule is not followed, the book designer would essentially have to work again on pages based on the situation till the desired result is achieved. Complex items like bullet points are accordingly arranged. Another factor that can pose difficulty in reading is spacing of textual lines. Closely or too generously spaced lines can increase or decrease the number of pages within a book which would impact the cost associated with printing. If you have written a short book but would like to convey the impression of a large book by leaving large spaces between adjacent lines, it may not go down well with readers and your reputation would be put at stake. It is advisable not to provide space equivalent to a line’s width atop book’s each paragraph.Only when a new section is to be introduced or the general theme takes a turn, the paragraph may be spaced with a line. Make it a point to delete the first line indent of the paragraph which has a line space above it. If you would leaf through a conventional book, you would find that textual lines are neatly placed across the page in perfect alignment. Even if it consumes time, it is important to line up the text particularly when lists, pictures and subheads are present. Words must be placed adequately close to ensure ease of reading. When the page is published in color, the appearance of text should be uniform. Condensed lines give an impression of darkness whereas loosely placed lines convey the feel of lightness. Color should be used evenly across the page. You can bring this about by adjusting the settings of justification i.e. glyph scaling, letter and word spacing. The justification settings vary with fonts and as such seasoned book designers use various combinations to reflect the right feel. Even when same font is present in different sizes, different settings may be required for aesthetic charm. Your reader can feel distracted is there are a large number of hyphens in the overall text or within a single row. Just have three or more hyphens in a single row and the impression along the right margin is that of a ladder. It is a good practice to not hyphenate the page’s last line as it compels the reader to think about what would follow. The word partially mentioned would linger in the minds of readers as they continue reading. The paragraph’s last line should never carry the hyphened word’s stub end as it appears like an eyesore. Names, places, and other words in capital should not be hyphenated. For each font type, there are 3 dash types. For hyphenating words and separating phone numbers, hyphens are placed. In a sentence, clauses are offset with the use of Em dashes that act like some sort of punctuation. The length of En dash is usually half of that of an Em dash and is employed for denoting time period such as November 5-6 or 9:00-6:00. If you are in the habit of putting tick marks right by punching the keyboard, you convey the message that you are not bothered about the appearance of text. Steer clear of this by using curly quotation marks along with apostrophes. In order to avoid jarring capital letters that seem loud to the readers, set the uppercase text in moderately smaller size compared to adjacent text. If you place capitalized textual content or small caps within normal reading matter, they may look huddled up. You need to offer looseness to the content by avoiding spacing of letter in book text printed in lowercase. Too much looseness in spacing may compromise the readability of text. You should place boldface text in moderate amount. The continuity of text is marred by bold text which serves to attract the attention annoying towards itself. If you repeatedly use bold text and italics, you may give the feel that you are underestimating the comprehension power of readers which is why you are emphasizing the important portions. Underlined text distracts the reader more than boldface text and is a typographical bad practice which must be shunned. When you use special characters such as ™ for trademark, ® for the registered trademark, © for copyright etc., you must reduce them by fifty percent or more of the size of normal text based on the font used. Chicago Manual of Style underscores the fact that the setting of ellipses must be done by leaving space worth a word on either side and between every dot. You should not break the ellipse in the middle or start at the front of a fresh line. Ballot or checkboxes must be smaller than the adjacent text by almost two points. The appeal of your book may be undermined by the use of various types of bullet characters and as a general rule should be avoided. Three lines on a trot should not be started or closed with the same word. If you are using page formatting software, then you need to manually adjust word spacing to ensure consistent feel. You can track a paragraph and set it right or rewrite the entire text. You can also invest in high-end page designing software like Adobe InDesign or Microsoft Publisher and learn the tricks of optimizing it. To accomplish the type of professionalism you would seek to emulate the established writers, you have to invest quality time to learn how to use the software. It takes significant time to follow all the formatting related rules. Book designers understand the import of the rules and follow the same. Another option is to use templates, formatting applications and other support systems if you cannot meticulously follow the rules. Your decision to seek the specialized services of a professional book designer is largely influenced by factors like your inability to carry out the typesetting all by yourself, allocable budget, the advice of your friends and acquaintances in the publishing industry, and wrongly construed information. You can self-publish a book by using standard book templates which are commonly available at a nominal cost. The templates are either designed in MS Word or within special app containers. By harnessing these templates, you can give a professional feel to the interiors of the book which would be accepted earnestly by readers. However, if you are deciding to self-publish your book with economically available templates for the purpose of entering into competition with books published conventionally, you must pay heed to the fact that prior assessment of the templates’ capabilities should be done to ensure that the outcome would be comparable with that of bestselling books. You can also start by comparing the text contained within bestseller hardcover books coming from prominent publishing houses with the output generated by templates or apps. Your discerning eyes would instantly spot the difference. Run a quick introspection to judge if the bestseller’s publisher would prefer a template available online inexpensively to have his books typeset. However, make sure that no book layout issues intrude when relying on such templates. In case if you want to photocopy the document, stay away from using fonts having thin hairlines; it’s hard to copy or read them. Size of large headings can be reduced by opting for any of the condensed fonts. Balance can be provided by placing white space around long bodies and headings. There is nothing more unprofessional than a document with lot of spelling mistakes, sentence construction issues, and typos. The whole meaning changes with a simple spelling mistake. Let that never happen. Proof read and copyedit every document before you send it. The format or interior designing done plays a critical role in determining the appeal and professionalism of your book. Without proper formatting, even the most valuable ideas won’t be appreciated and when you are the author, you don’t want this to happen. 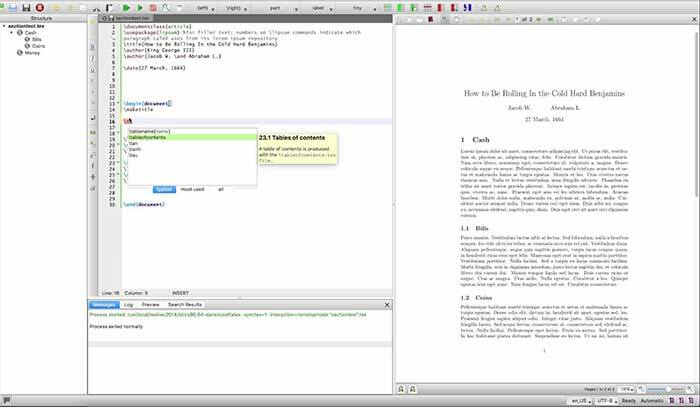 If proper programs are not used for formatting the book, it can lead to orphans and widows; these are single lines and found towards the end or at the starting of a paragraph. Chapters are meant to be started at the page at right-hand side. However, fiction is an exception to this rule. There are still a lot of authors who underestimate the significance of proper editing. This makes their book full of logical inconsistencies, sentence construction issues and schoolboy grammatical errors etc. This leads to bad reviews owing to poor reading experience and lack of professional feel. After the sentences, double spacing is now not mandatory. Using fonts of near sizes is not recommended. Font sizes 10 and 11 placed close to each other will not be apparent enough and hence they will make no difference. Never clutter. If you want to make use of graphic elements, use them thinly around the text. How your book cover matters a lot. The appeal and pattern of your book cover should fall in line with the nature and feel of your book content. Lack of connection between the cover and actual content makes the whole thing look unprofessional. Graphics, as well as text fonts of cover, should be kept in mind while typesetting the internal pages. This leads to credibility and overall professionalism. With us, you will be able to excellently communicate through your books. Starting from layout and design to typesetting to cover design, we take care of everything. Time is crucial for any business and hence it is advisable to outsource your requirements to any of the best companies offering typesetting services. How digital prepress documents fundamentally differ from traditional prepress?